Battered and bruised, dip-dyed and bleached patches, ripped and stained, denim has so many ways of charming us, and in the occasion of Lee's 125th anniversary of mastering the trade of the fabric that will never go off trend, I teamed up with them to do a full denim on denim look. Too excited about their quality, I just started stacking on! 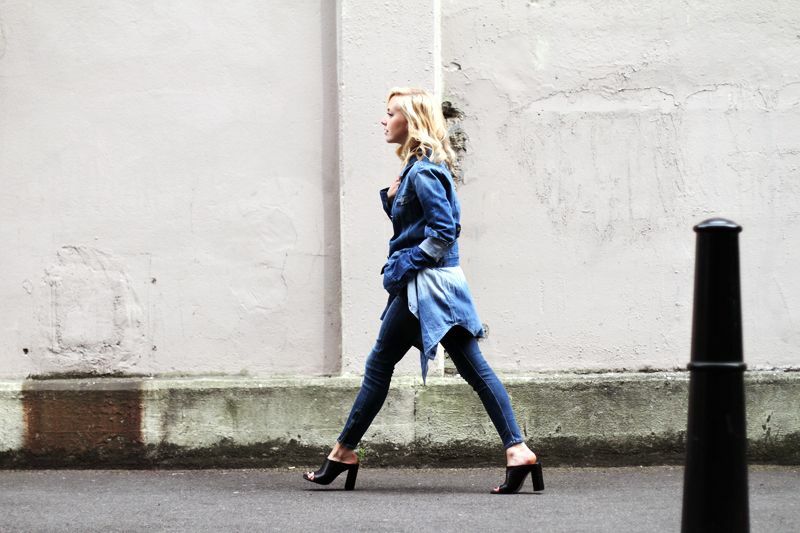 You by far know my devotion to denim, it's a classic and it's one of my favourite things. Alas, it's not more frowned upon wearing denim with denim, times have changed so do feel free (as you always should) to wear these blue goodies. No smurfs were harmed in the process of making these garments, and Lee is excitingly enough looking in to how to dye their denims in more sustainable ways, saving water and dye and have launched garments supporting these qualities in their collection. It's going the right way, people! It was such a pleasure styling this edit for them, getting closer to their products and really understanding why they have been abled to go for 125 years - these guys really know what they're doing! All there is left to say now is: HAPPY BIRTHDAY LEE! "No smurfs were harmed in the process of making these garments.." LOL!! You look absolutely gorgeous, and I love those mules! digging this look and the multi denim. Stunning, I LOVE that denim look! sometimes all denim outfits can look too much but not on you! This is perfect! Your style is so perfect! I love everything! Denim suits you so well ! I am loving mixing denims lately. This is a really lovely look! Super cute outfit! I am in love with the shoes. They look fantastic. 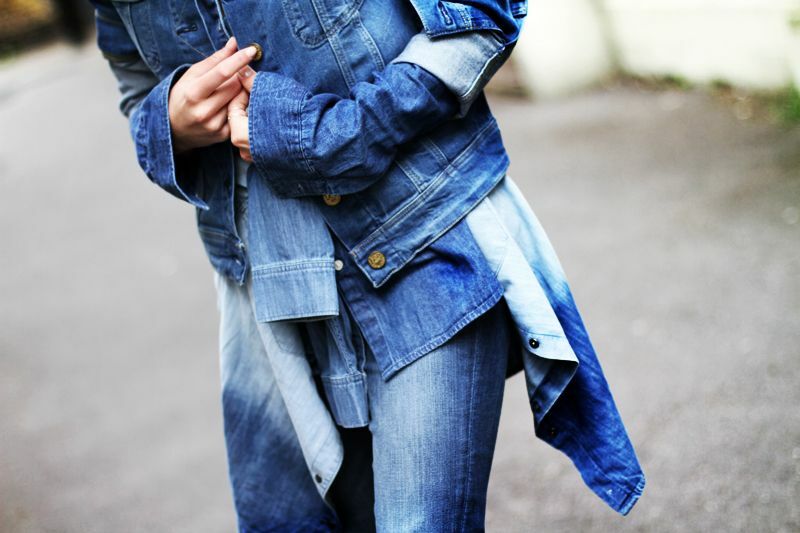 you are the queen of denim on denim, seriously, this is amazing! Oh, I adore denim! It is actually the most easiest way to throw on when having no thoughts or time whatsoever. And you look amazing! LOVE it! Denim on denim always works. You look stunnnnnning girl! Wauw, love it a lot. You rock this denim look! You look so chic! Lovely jeans! I love this look...so good!! !